Nova Scotia Youth Conservation Corps offers various employment opportunities for young Nova Scotians. Youth can gain environmental work experience by working on waste resource management projects, pollution prevention projects, watershed management projects, climate change projects, and/or environmental education projects. Katimavik As Canadas national youth corps, Katimavik fosters the personal development of our nations young people through a challenging programme of volunteer community work, training and group interaction. As of 11/01, projects happening in Lockeport, Lunenburg and Shelburne. 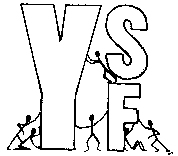 Youth Alternative Society organization that works with youth aged 12-17 who are in conflict with the law.